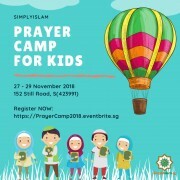 SimplyIslam is proud to present our annual Prayer Camp for Kids, an intensive specially customised 3-Day ṣalāh retreat for children during the school holidays. The Camp will bring together Muslim kids for some fun-filled days of Islamic living, learning and inspirational experiences. 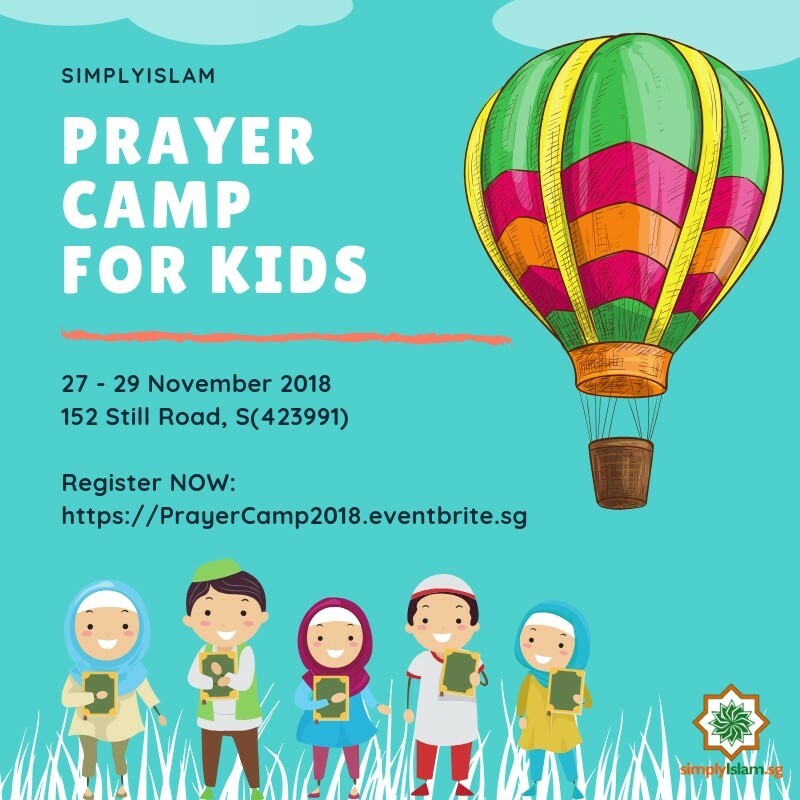 Recognising the importance of ṣalāh, and the need to impress this upon children entering an age group where Salah becomes obligatory, SimplyIslam.sg took the initiative to organise this Camp primarily for kids aged 7 to 12 years old. In this camp, students will be introduced to the different types of prayer (Five obligatory Prayers, and the Nawāfil, such as Dhuha etc), how to lead the ṣalāh, the ablution (Wudhu`), Du'a after ablution and many more. To ramp up the fun factor and to keep things interesting and immersive, there will be games and quizzes conducted in between the lessons. These sessions are constructed in a very interactive and engaging manner so as to ensure maximum absorption of the topics discussed. The topics are further sub-divided into theory and practical sessions, and after every theory lesson, participants will have to go through practical tests to ensure they understand the topic well and are able to perform their prayers and practices correctly. 3. To perform the Nawafil such as Rawātib, Dhuha and Tahiyyatul Masjid. The 3 days Camp will be an intensive program for students. Participants will be divided into different classes based on their age. Each class will have certain targets and goals to be achieved by the end of the camp.